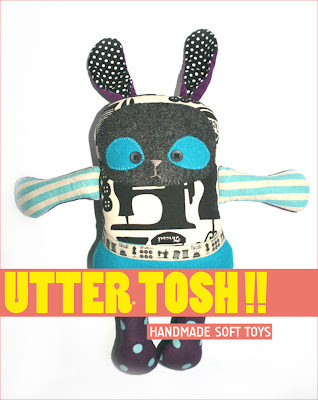 Our good friends over at Uttertosh have just dropped some wicked new plush toys over on their website. These super cool rabbit plush toys are all completely hand-sewn and entirely unique and we think they rock. They have also added some new sock monkeys which make fantastic gifts for girlfriends / boyfriends, sisters / brothers, new babies. I bought a bunch of the sock monkeys and brought them with me as gifts to New York last week. Go get yours here.